This entry was posted in Book Review by jerrywaxler. Bookmark the permalink. 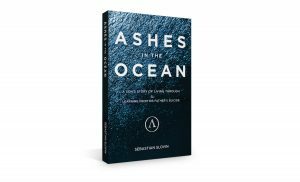 Jerry, thank you for this thoughtful review of Ashes in the Ocean. I really appreciate the depth of your review. You did a wonderful job of summarizing and naming many of the twists and turns throughout the book. I find it so helpful to look at this story from a different lens as there is always more to learn and uncover. Also, I really appreciate your work and passion for sharing stories and the healing that comes through that process. You are totally welcome, Sebastian. Thanks for taking readers on such a heartfelt, in-depth tour of your healing journey. Thank you for this list! I am writing a memoir about my convoluted relationship with my parents. I can’t wait to read these! Hi Fish on a Ladder, (cool name.) Yes, we are all so individual – that’s why I find memoirs so fascinating. Windows into individual worlds I look forward to hearing more.